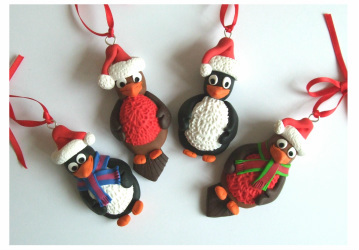 Free PDF Polymer Clay Tutorials. I have a number of PDF Tutorials that you can buy through my Etsy Shop, but just to get you started, here are a couple of free ones for you. Click on the picture to get the instructions on how to make these Christmas tree Ornaments, fun to do with the kids too! Click on the picture to get the instructions on how to make this fun geometric cane, that gives a blurred look. This PDF works in conjunction with my video with the same title.